From Hollywood Collectibles Group. 'They mostly come at night. Mostly.' The officially licensed 1/1-scale Aliens Warrior Statue is a magnificent, life-sized Xenomorph standing a full 80' tall and made by an Aliens SFX professional utilizing some screen-used components in its creation. Constructed from fiberglass and mixed media, and with intricate attention to detail, the Aliens Warrior is captured perfectly in a terrifying attack stance, and features a semi-posable tail. Each piece is hand-finished and individually painted with the Aliens Warrior's signature wet and glossy appearance. This stunning piece stands on an Aliens themed display base accentuated with atmospheric up-lighting. 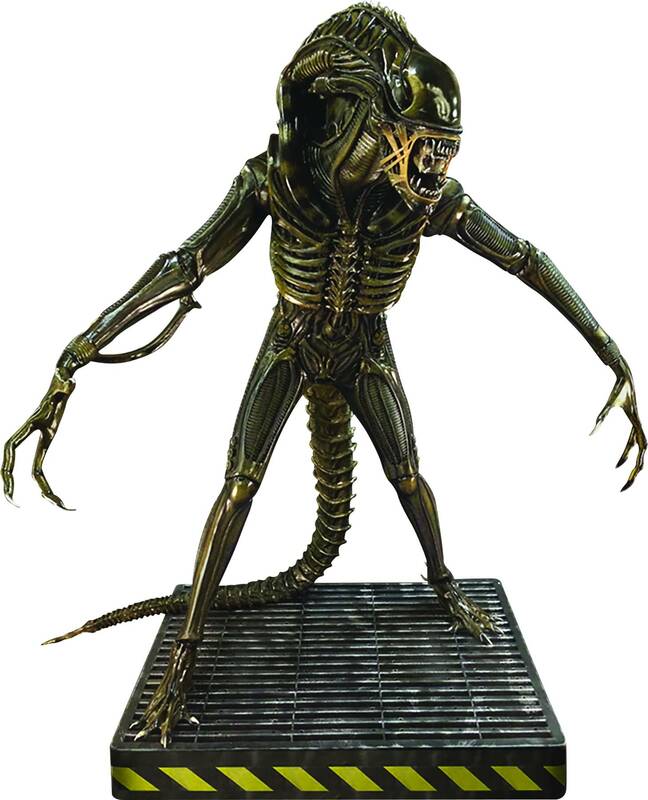 With a limited edition of just 150 individually-numbered statues, this is the ultimate centerpiece for anyone's Aliens collection!.